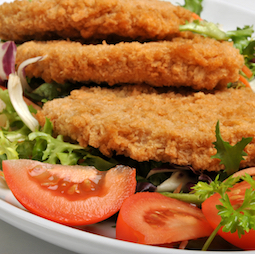 This southern fried tilapia recipe will be a favourite with the whole family. I like to serve it with fries, salad and coleslaw. 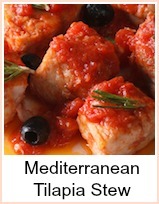 It would be a hit at a kids party or an adult buffet - it is even good served cold. Rinse and pat dry the tilapia fillets. Mix the onion and garlic together, then rub the mixture over both sides of the fillets and set to one side. Take the flour and add about 1/4 tspn of each of the herbs and spices and mix together thoroughly. Put this onto a plate. Add a tablespoon of water to the egg and beat it thoroughly. Put it into a shallow dish. 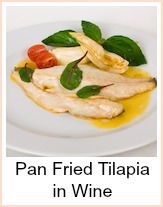 Dip the tilapia fish in the egg and then into the spiced flour mixture, making sure it is thoroughly coated. There will be loads of spiced flour mixture, so make sure that the fillets are well coated, pat it onto the fish and allow it to rest, then shake and see if there are any gaps, patting a bit more spicy flour mixture to cover any gaps. The good thing about the fish being skinned is that you can enjoy the whole fish and spicy coating. Heat the oil in a frying pan or wok and add the tilapia fish - fry for about 2 minutes, then turn and fry for a further 2 minutes until the fish is cooked through. Serve immediately with fries and coleslaw. 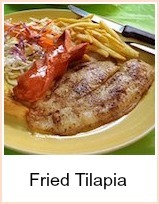 If you were to serve this tilapia at a buffet, then I would suggest that you cut the fillets into strips (goujons) before flouring and frying - adjust the timing to be about 1 minute either side. If you want to use this coating for chicken pieces, then the secret to getting the lovely juicy result (that you get in the famous southern fried chicken places) is to pressure cook the pieces of chicken for about 6 minutes - that cooks and plumps up the chicken pieces - then shallow fry for 3 to 4 minutes or deep fry for 2 minutes until the coating is golden and crispy. The chicken has been cooked by the pressure cooker and all you are doing by frying, is cooking the southern fried chicken coating. 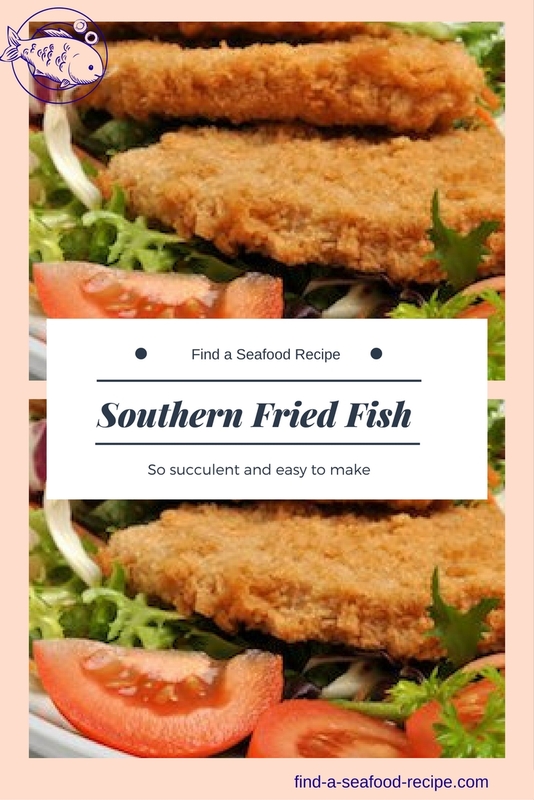 A really authentic tasting Southern Fried Tilapia Fish recipe. This is for tilapia, but you can use any white fish you like, either fillets or strips, so great for filling wraps or tacos. The coating will also work for Southern Fried Chicken and the secret for getting the plump chicken pieces is here too.